Carey Mulligan, who’d rather work than stay at home, continued her efforts to promote her new film, ‘Wildlife’ at the premiere on Tuesday (November 6) in Paris, France. 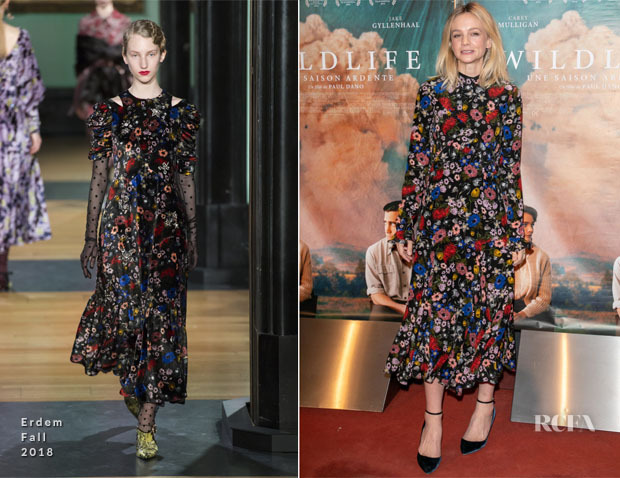 The actress brought a touch of the emerald isle to Paris as her Erdem Fall 2018 Cordelia dress features a multicoloured floral print inspired by the gardens at Ireland’s Lismore Castle. 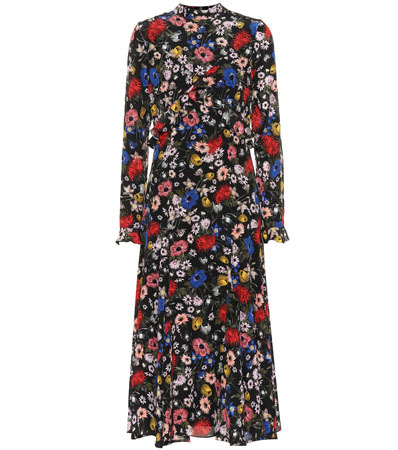 Embellished with bold hues and styled with lush velvet blue pumps, this graceful style perfectly reflects the British designer’s focus on femininity.